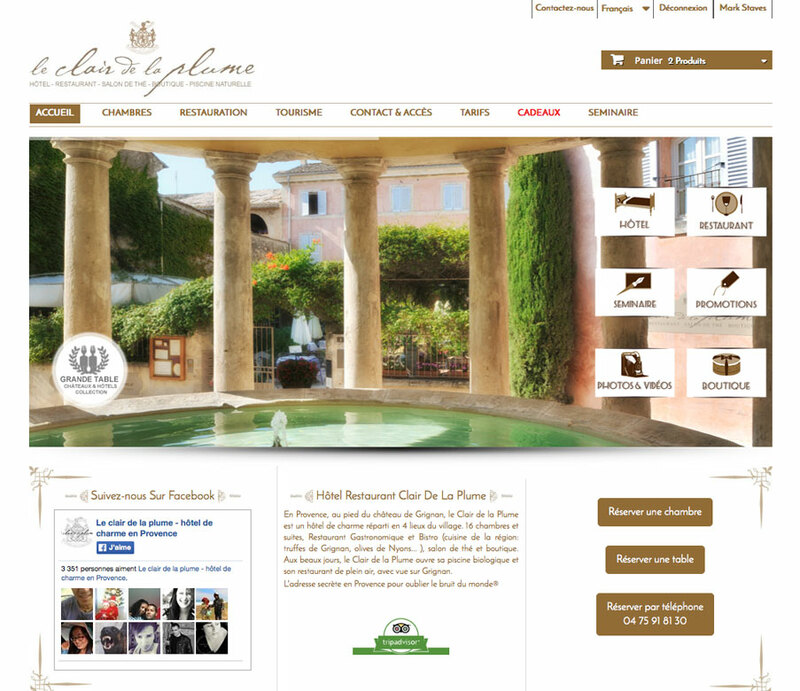 Le Clair de la Plume is a luxury boutique hotel in Provence. The hotel consists of two separate buildings, restaurant and a mediterranean garden with a natural swimming pool and additional lovers room. There is also a shop in the village that is a part of the hotel group. 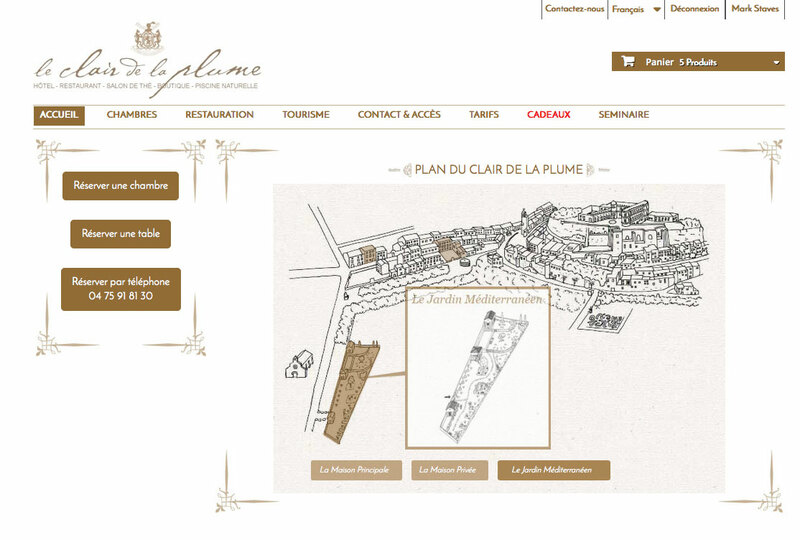 The Clair de la Plume wanted a website that would showcase the various parts of the business and serve as a portal for visitors to discover the hotel, the village and the surrounding area. Special requirements were for the website visitors to be able to book accommodation and additional services on the website. 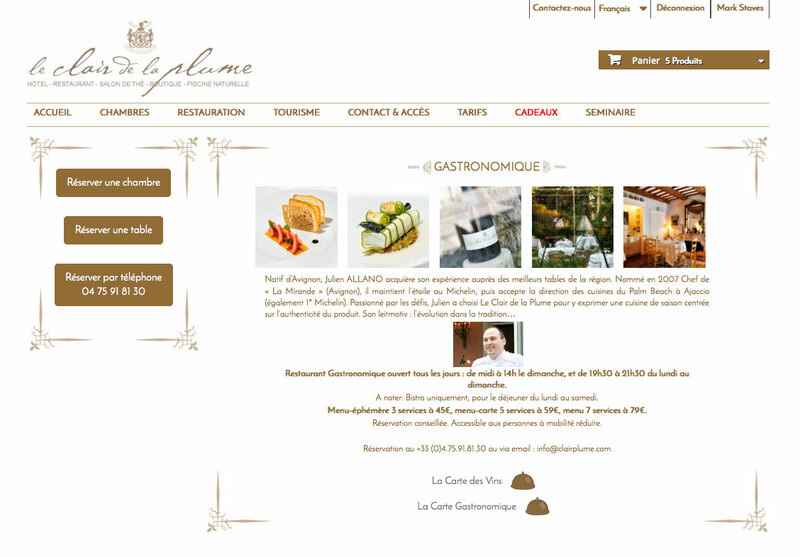 We created a website in French, English and German. 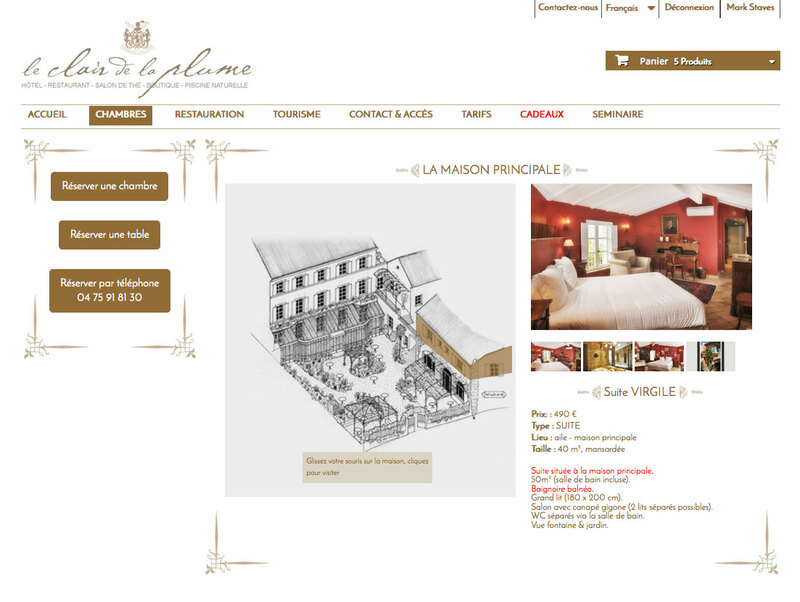 We added a large number of custom built pages to show off the hotel, the rooms, the village and the area. Using a variety of methods including image sliders, and interactive maps, we created a site that would give a potential customer a real impression of what to expect. We also created an online shop selling some of the products that the hotels village shop offers. 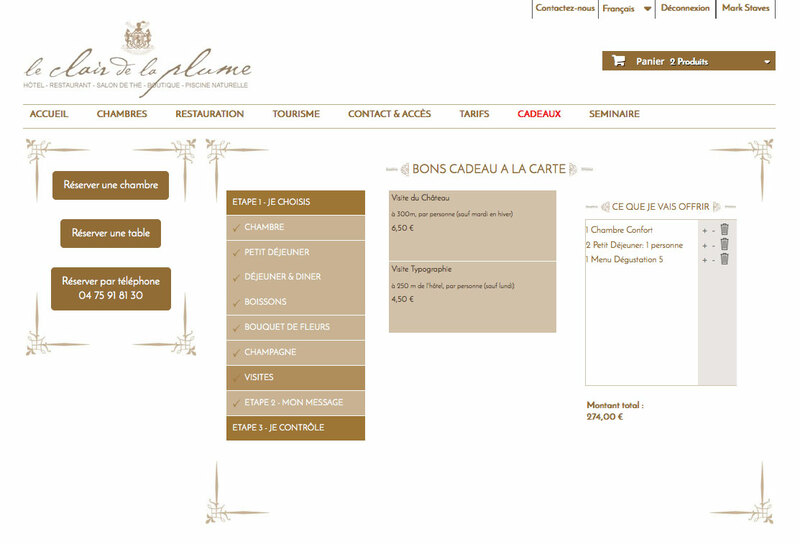 A particular requirement of the site was a custom built module to allow visitors to the site to create their own packages including choice of room, meals, local visits and additional services, and then to pay for and receive the package by email or to send it as a gift to a friend.